"streaks" and "blotches" in my foundation! The other sponges I've used seemed to "soak up" an excessive amount of foundation, which either remainded in the sponge (to be washed out or thown away with the sponge) or ended up as streaks in my foundation. The BeautyBlender does not soak up excessive amounts of foundation so I no longer waste expensive foundations. It cleans well and is said to last a long time; which given its rather hefty price for a makeup applicator is a plus! After more than a month of daily use, mine shows no signs of wear, and when it does, I'll gladly purchase another! If you are searching for an easy to use foundation applicator and a professional finish, this product makes good on its promises! 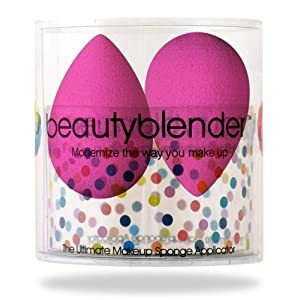 The BeautyBlender website states that it is the "ultimate make up sponge applicator".... and, I think they are right!! !